GoToStage.com is the video platform for content that business professionals crave. For your business, it’s an opportunity to reach the 60 million professionals who join GoToWebinar events each year. It might just become your new favorite way to generate awareness and leads! 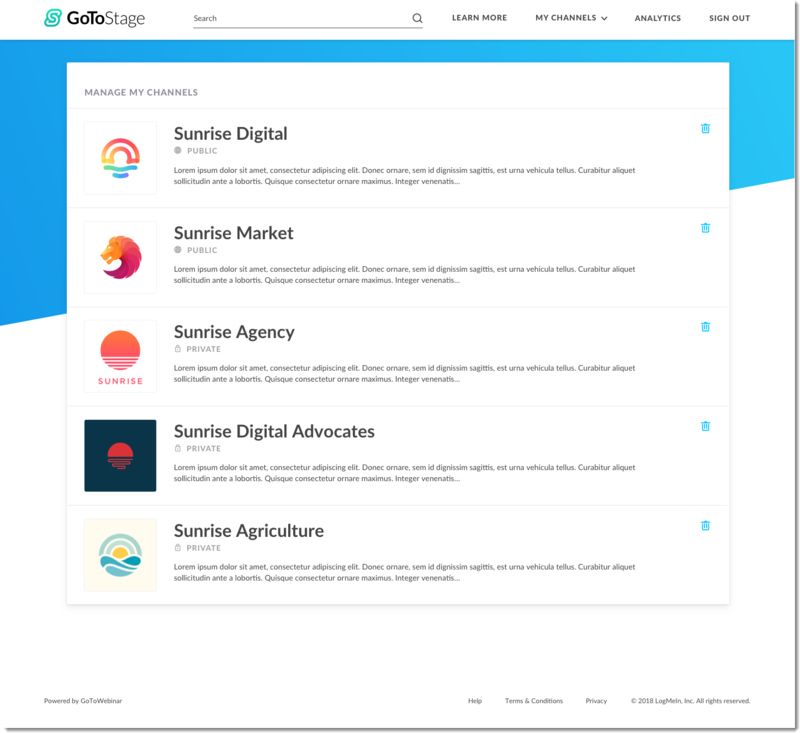 GoToStage collects organizers' content from their Channel pages into a one-page hub for on-demand webinars, making it more discoverable by viewers. With GoToStage, you can generate more views and leads by increasing video visibility, analyzing audience reports, building relationships and brand awareness, sharing via social accounts, and more. Unlike YouTube or other platforms, GoToStage prompts viewers to register before watching a video via email, LinkedIn, Facebook or Google. Registration information (first and last name, and email) is available to you via a Recording Report, making it easy to track the number of views you have. Your personal Channel page is an easy way to bring your recorded webinars to your audience. 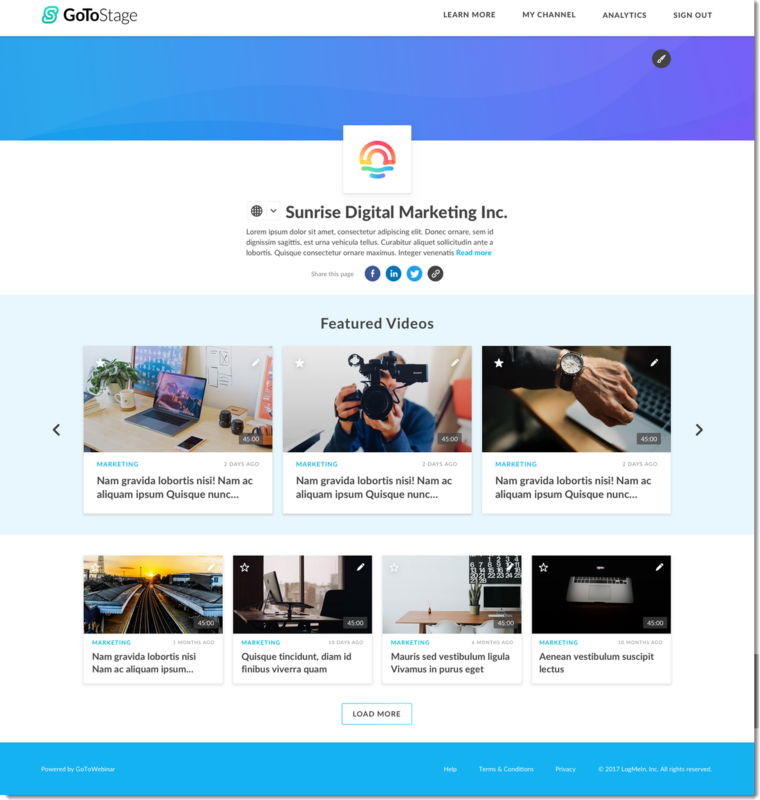 You can quickly set up a landing page showcasing your best content, customize it to reflect your brand and organize content the way you like. GoToStage is a great way to turn your recorded content into an ongoing source of new views and leads! Easily access your Channel where you can customize your page and recordings! Go to the My Recordings page and select View GoToStage Channels (Beta). You can also go to your Channel page via its direct link and sign in with your GoToWebinar account credentials. Share your Channel page with others via social media or your own Share link! To post directly to social media feeds, click the desired platform (Facebook, LinkedIn, Twitter) found under the channel name and description. 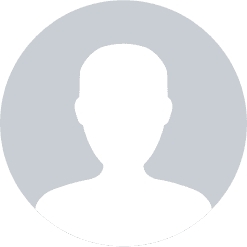 This will open a pre-populated post in another browser. To share using your unique URL, click the Share icon found under the channel name and description. Copy the generated link and paste wherever you'd like. 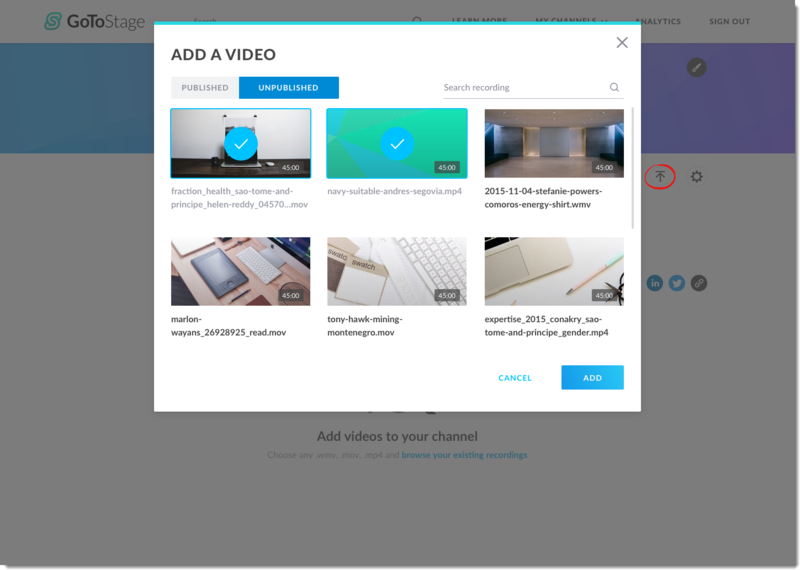 You can add and remove videos to your channel directly from GoToStage! Do you have multiple channels? Learn more. Log in to your account, go to the My Recordings page and click View GoToStage Channels (BETA). To add videos, select the Video icon (next to the Settings icon). The "Unpublished" section includes all videos that have not been added to any of your channel pages. Check all the video(s) you'd like to add to your channel and then click Add. Note that this window will be empty if you don't have any available recordings listed in your GoToWebinar account (My Recordings page). Added videos will automatically display in your channel page. You can begin customizing and grouping them! To remove videos from a channel page, find the desired video and click the Edit icon in the top right. Click Remove video from channel. To remove, click Yes, Remove. To keep the video live on the channel, click No, keep my video. Once removed, this video will be placed in the "Unpublished" section. You can always readd the video from your library of videos. What is a local recording? Local recordings are saved as a file on your computer's hard drive. In order to view or share them, you will first need convert them using the Recording Manager and then manually upload them to the My Recordings page. What is an online recording? Online recordings are saved to your online account. After a session ends, these recordings will be automatically saved and ready to be viewed, downloaded and shared. 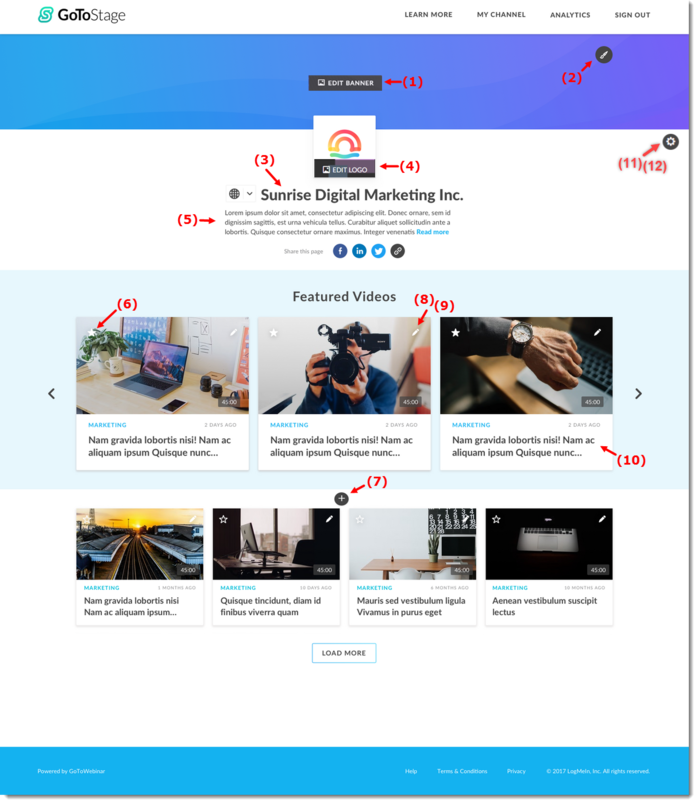 Customize your Channel page and video recordings to your liking directly from the Channel page or from a specific video page! Sprucing up your content also helps increase the chances of having your recording discovered by potential viewers. For example, did you know that videos with thumbnails are clicked and watched 3x more than others? Learn how you can optimize your content and Channel page so that it catches the eye of viewers browsing GoToStage. Upload a banner image or a stock banner (provided by GoToStage) to the top of your Channel page. To update the banner, click the Edit Banner button at the top of your Channel. Click Change Banner to add your own image or choose one provided for you from the Theme field (you can also choose a color from the palette to match your branding from this field). For clear results, we recommend a 2640x440 pixel image. Change the main color theme of your Channel page to match your brand style. Edit your Channel name. To change the name, click on the default page name, enter a new name, and then click away. The new name will automatically be saved. Your Channel logo will appear next to your name. Upload a logo by clicking on the logo box and uploading the appropriate image. You can upload a .PNG or .JPG image with a size dimension of 120x120 pixels. Watch this tutorial video for more help. Add a description to your Channel page, which will appear under your name. You can add a clickable hyperlink to your website there too! Feature up to 5 events, which will be displayed and rotate at the top of the Channel page. To add video content to this Featured list, click the Start icon in the top-left corner of the video. Create custom groups to organize your videos on the page! To create a group, click on the Plus icon at the bottom of your Channel page. Enter your group title and save. You'll be able to drag and drop desired videos into different groups. To delete a group, drag and drop all videos out of the group and click the X button in the upper right corner of the empty Group field. Categorize your content with the given categories. This will make your videos easier to discover and appear higher in search results and recommended content. A thumbnail that best represents your content will make it stand out. Videos with thumbnails are clicked and watched 3x more than others. If you were provided a default thumbnail by GoToWebinar, you can remove it and replace it with a new one. To upload a thumbnail, select the More icon in the top right of the video and click Add thumbnail. Add a catchy title and description to each of your videos. This will allow viewers to have a good context on what your video is about and will drive more views from searches. To update the video description, click on the video for the detailed page. Note that descriptions must be 300 characters or less. Create a custom registration disclaimer for your videos (e.g., "By checking this box, you agree to submit your information to the webinar organizer, who will use it to communicate with you regarding this event and their other services"). Viewers will need to accept the disclaimer before watching your videos. Customize your Channel URL! This will make it easier for you to remember and share your Channel link with others. Add in a unique URL under Custom URL and save. The features that are available on your account may vary depending your subscription plan. You can opt out of GoToStage if you only want to share your recordings with a select group of people. This setting will allow only those viewers with a direct link to your Channel or video to be able to find your content. All Channels are public by default, unless you change the visibility setting. Note that there is no way to make specific videos on a Channel private. Select My GoToStage channel to access your Channel. Click the Settings icon towards the right of the page, then toggle the Privacy setting to the "on" position. Manage multiple channel pages under your account! This means you can send specific channel pages to viewers without giving them access to videos on your other channels. The number of available channels depends on your subscription plan. To begin managing your Channels, log in from GoToStage. Click the My Channels drop-down menu in the top navigation and select Manage my channels. Learn more. 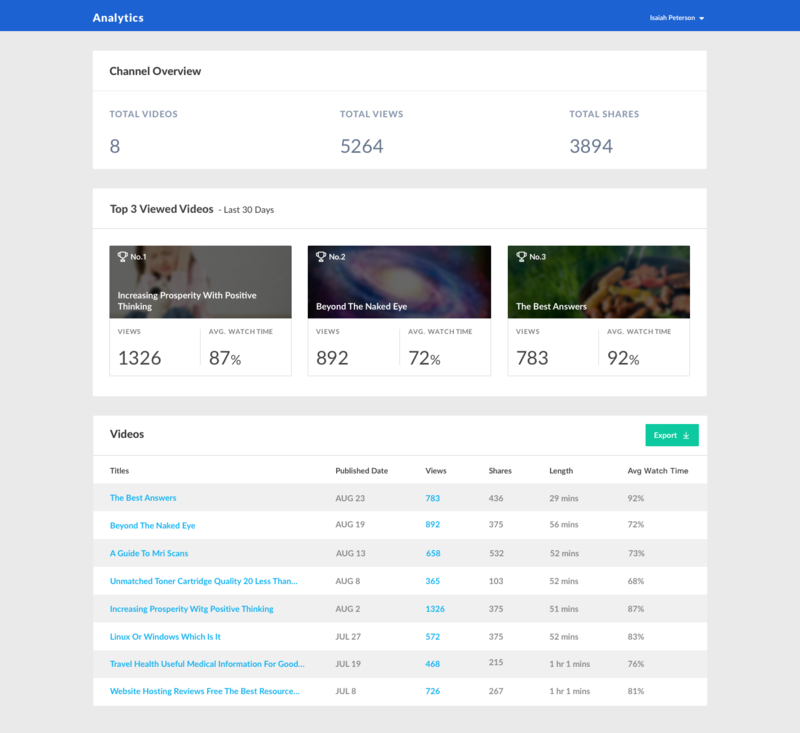 It's easy to stay in sync and keep track of your uploaded videos from the Analytics page. This page provides an overview of video performances including data on the total number of views, top watched videos, total social media shares, and more. You can also export a detailed list of your viewers for a specific video and a list of all your uploaded videos. Access your Analytics page many different ways. Go to https://analytics.gotostage.com and log in. Go to https://gotostage.com, log in and then select My Channel > Analytics in the top banner. Log in to your account at https://global.gotowebinar.com, go to your Channel page and select Analytics in the top banner. You can export a detailed list of viewers for a specific video by selecting "Views". This list will include audience first and last names, email addresses, last watch date, watch time and view count. You can export data of all your uploaded videos from the "My Videos" section. This list includes video title, published date, views, shares, length and average watch time. Need more help? Scroll through our list of frequently asked questions and ways to troubleshoot. How do I push a recording to the Channel page? From your Channel page, click the Video icon (next to the Settings icon). Your videos that are ready to be added to your Channel will be available in the "Unpublished" section. How to I download my recordings? On the My Recordings page, click the More icon and then select Download. This only works with online recordings. Recordings that were uploaded from a local recording or alternate source cannot be downloaded. Can I make my videos private on my Channel page? Yes. You can choose to make your Channel page available to only those who have a direct link. Switching this setting will also prevent your videos from being listed on GoToStage. Learn more. Yes! GoToStage is GDPR compliant. See our GDPR Resource Center & FAQ to learn more. What are the browser requirements for GoToStage? Nothing happens when I click on "Edit Logo" or "Change Banner". It's possible your network has blocked FileStack, a third party service GoToStage uses. Reach out to your IT administrator and ask to whitelist *filestackapi.com. I see a black background rather than a transparent background when uploading a logo. FileStack (a third party service GoToStage uses) does not provide a transparent background for .PNG files. This request is currently being investigated. As a workaround, use an image with a regular background. How much does GoToStage cost? GoToStage is included in your GoToWebinar subscription! Advanced features (including multiple channels) are offered to GoToWebinar Pro and Plus plans. Do you have questions or feedback for the GoToStage team? You can easily send those in with the integrated Help chat. Select the Chat icon at the bottom of your Channel or Analytics page. A small window will pop up. Send in your question or feedback. You will be notified when a team member responds. You can also view our help videos for additional help. For the latest GoToStage updates, check out the What's New page!